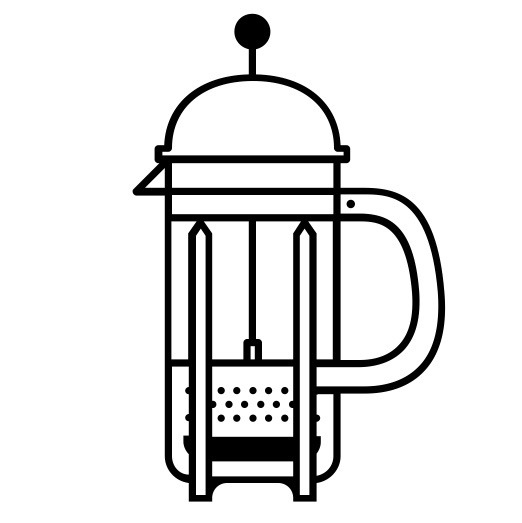 Rocking the standard Mr. Coffee? Use 2 tbsp, or 10 grams of coffee for every 6 ounces of water you're putting in. Everyone likes their coffee slightly different, so adjust as necessary. We recommend using cold, filtered water, and a medium grind. If you bought our coffee pre-ground at a store, this is the method we assumed you'd be using so you're good to go! For a 12oz cup of coffee, use 25g of medium ground coffee (think koser salt). Place in the filter, and slowly pour 375g of 202 degree water (about 40 seconds off a boil) in concentric circles over the grounds. If you really want to dial in your pour overs, we highly recommend getting a scale. A cheap, kitchen scale will do just fine! 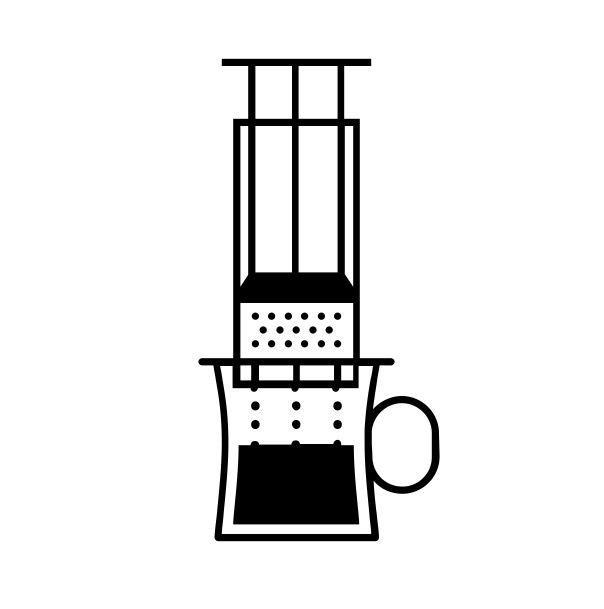 If you've got a standard 34 oz french press, start things off by measuring out 55 g of coffee ground medium-course (the finer the grind, the more sludge you'll end up with at the bottom of the cup). Slowly pour 202 degree purified water over the grounds until the chamber is full and let steep for 4 minutes. Slowly press down on the plunger and it's ready to go! This method has entire competitions devoted to it and the countless variations you can achieve. That being said, the following is our current go-to in our kitchens at home. 14g coffee medium grind on top of two pre-rinsed filters (yes, TWO WHOLE FILTERS). Pour 220 grams of water just off a boil and quickly place the plunger in just a hair to stop the coffee from coming out the bottom. 30 seconds later, pull out the plunger and give it a quick stir. Immediately put the plunger back in and tell Alexa to set a timer for 3 minutes and 30 seconds. When she chimes, plunge slowly until your cup is full of delicious coffee.